U.A.P.S.G. - G.E.F.A.I. : SCIENCE OF 'ARRIVAL': IF ALIENS CALL, DOES HUMANITY HAVE A PLAN? SCIENCE OF 'ARRIVAL': IF ALIENS CALL, DOES HUMANITY HAVE A PLAN? The science fiction movie "Arrival," which opened in theaters last weekend, poses tantalizing questions about how humans might make contact — and eventually communicate — with intelligent aliens. The much-hyped film has renewed people's interest in the search for intelligent life elsewhere in the universe. But what would happen if humans really did make contact with an intelligent alien civilization? If E.T. calls, is there a plan? In the 1990s, Shostak chaired a committee of the International Academy of Astronautics (IAA) that prepared a revised version of the "post-detection protocols" for researchers who watch for possible alien transmissions using radio telescopes, a field known as SETI (short for the Search for Extraterrestrial Intelligence). The protocols were first drawn up in the 1980s to help scientists in the United States and the Soviet Union share information about any potential SETI signals. 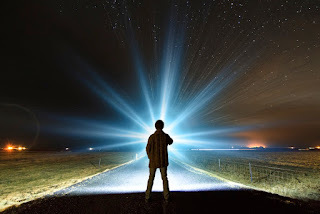 But, Shostak explained, the SETI post-detection protocols are guidelines for governments and scientists, rather than a global action plan for dealing with alien contact. "They say, 'If you pick up a signal, check it out ... tell everybody ... and don't broadcast any replies without international consultation,' whatever that means," he said. "But that's all that the protocols say, and they have no force of law. The United Nations took a copy of the early protocols and put them in a file drawer somewhere, and that's as official as they ever got." 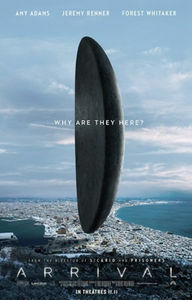 In the movie "Arrival," spaceships land in several cities around the world, and a linguist (portrayed by actress Amy Adams) and a physicist (played by actor Jeremy Renner) are recruited as part of an international effort to try to communicate with the aliens and find out why they are here. In real life, apart from the protocol dictating that researchers should share news about SETI signals with other astronomers around the world, Shostak said he is not aware of any government-level plans or established procedures in case of an alien contact, whatever form it might take. And it seems there really are no "Men in Black," shadowy government investigators of UFO-lore, depicted in the comedy sci-fi movie series starring Will Smith and Tommy Lee Jones. But the U.S. government has shown no interest in SETI research so far, he said. "It's not a government program, so they have nothing to do with it. I would love to see some interest from them, but I never have," he added. After one early SETI "false alarm," which eventually turned out to be a signal from a European research satellite, the only response was from journalists. "In 1997, we got a signal that looked pretty promising for most of the day. We thought it was possibly the real deal," Shostak said. "I kept waiting for the 'Men in Black' to show up — they didn't. I kept waiting for the Pentagon to call. I kept waiting for the White House to call. They didn't call. But The New York Times called." In a review of the science and speculations about extraterrestrials, published as "Xenology: An Introduction to the Scientific Study of Extraterrestrial Life, Intelligence and Civilization" in 1979, the author and scientist Robert Freitas described a purported military briefing in Washington, D.C., in 1950 that outlined potential U.S. military responses to alien contact. The supposed military plan, which became known as "Seven Phases to Contact," was first reported in a 1967 book on UFOs by the American broadcaster and UFO researcher Frank Edwards. But Shostak said he has seen no sign of any extraterrestrial action plan for U.S. government agencies or the military. "As far as I know, there's nothing, and I think I would have heard something because of the [SETI] false alarms," he said. 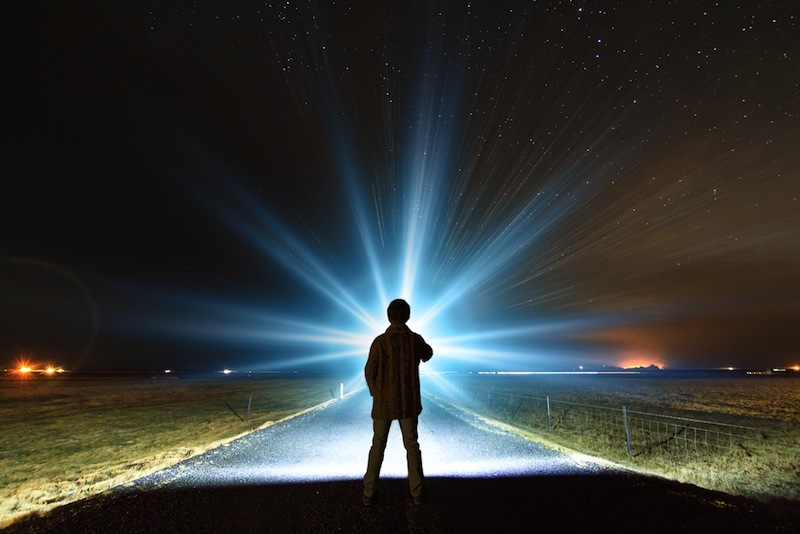 While detecting an alien radio signal would be different from encountering spaceships that landed on Earth, Shostak doesn’t think protocols will play a big part in how we respond. "Some people asked me at a conference last week, 'What plan does the military have to deal with aliens should they land?' And I said, 'I don’t know … but to the best of my knowledge, they don't have a plan.'" "It would be like the Neanderthals having a plan in case the U.S. Air Force showed up," he said. Although the aliens in "Arrival"helpfully travel to Earth in faster-than-light spaceships, willing and ready to talk, Shostak said a more likely "first contact" scenario would be the detection of a SETI radio signal, perhaps from a source hundreds or thousands of light-years away. That means it could take centuries for the aliens to receive any reply transmitted from Earth in an effort to communicate with them, he said. As such, there might not be any real hurry to decide what to say. And if E.T. does call, what should humans say in response? Some scientists, including British physicist Stephen Hawking, have expressed concern about "Active SETI" programs designed to transmit messages from Earth to any aliens that might be listening. Hawking warned of the potential threat posed by unknown extraterrestrials and their alien motivations. There's also the difficult matter of making the right first impression in any extraterrestrial chat, Shostak said. "I've been to several conferences where people discuss whether we should tell [aliens] all the bad things about humanity, or just the good things, and that sort of thing," he said. "But I think that is terribly overdrawn. To me, that would be like the indigenous people of Australia seeing Capt. Cook coming over the horizon in his ship, then saying, 'We're going to have a couple of conferences to discuss what we're going to talk to these guys about, and what language we'll use’ — [but] it doesn’t matter." Shostak pointed out that humans have already been broadcasting news into space for decades, in the form of television and radio signals, and so it's probably too late to keep quiet. "Those signals have been going out into space since the Second World War, so we've already told them we're here," he said.